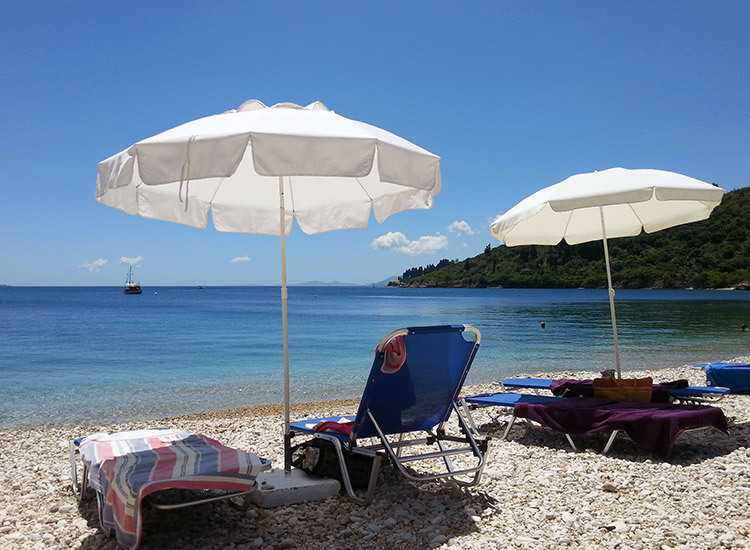 Many people wrote us to suggest Kerasia beach as one of the most beautiful bay in Corfu island for different reasons. 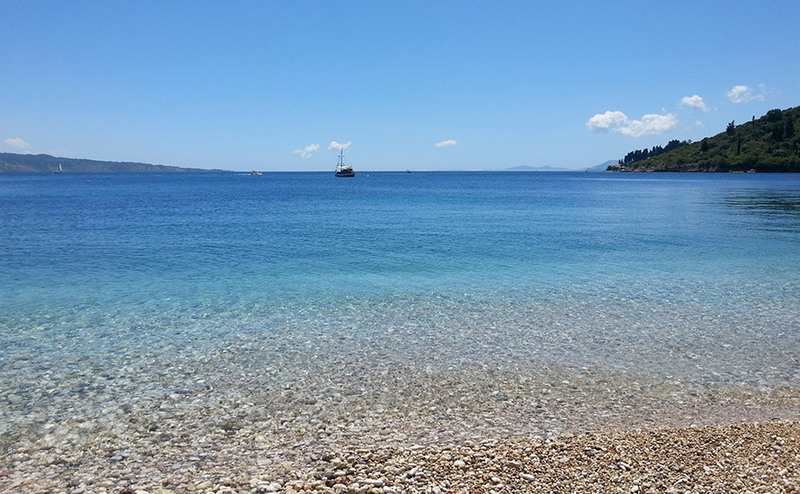 First of all for the clearness of the sea; then the colours that the water assumes from the green, near the white pebbles of the beach, to the dark blue offing. 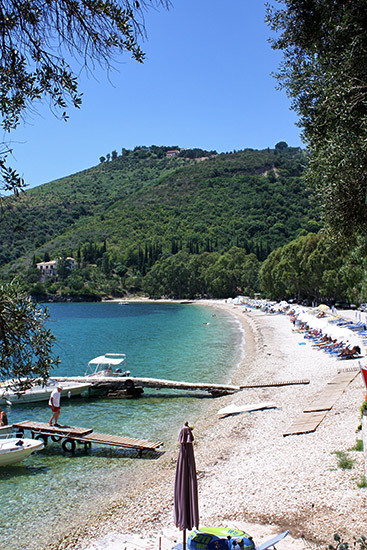 To reach Kerasia (or Kerassia) beach from Corfu town you have to follow the main coast road towards Kassiopi. 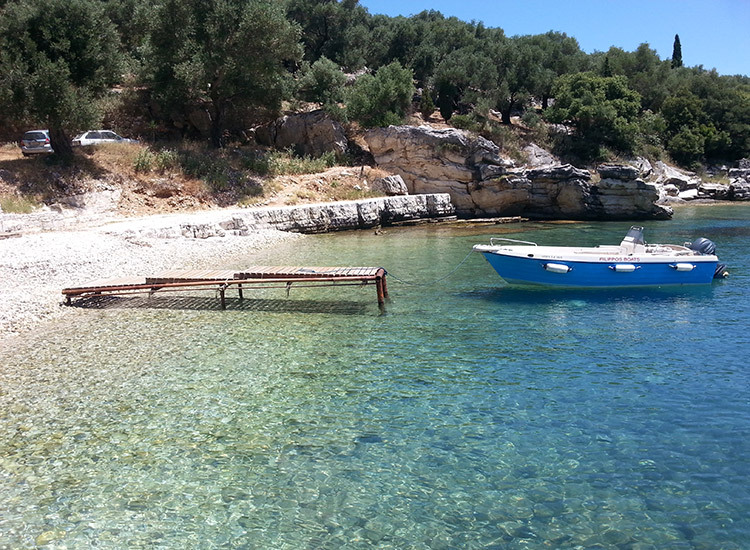 A little bit before Kassiopi you’ll notice a sign on your right that says Aghios Stefanou, follow it! 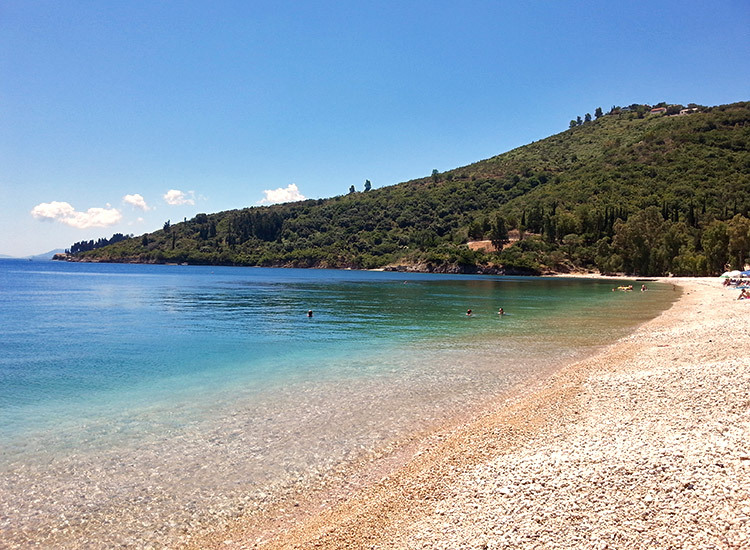 This road is long and beautiful, it will pass through A. Stefanou Sinion beach and will take you to Kerassia bay. 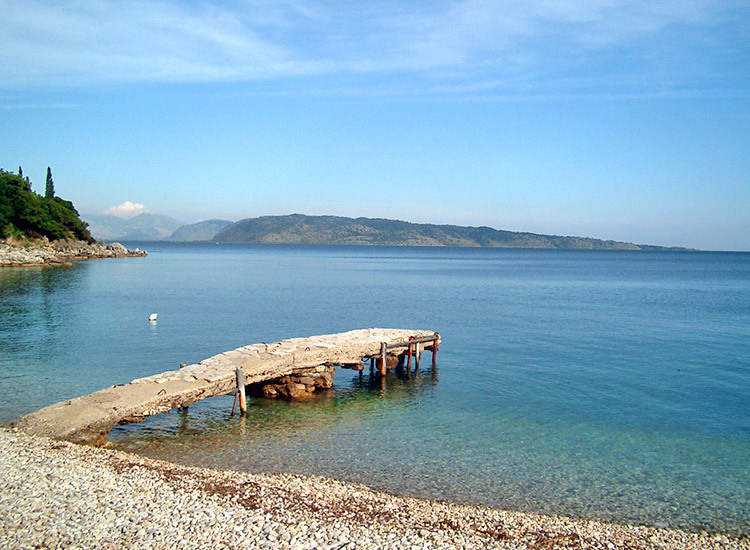 In Kerasia bay you’ll find a small number of buildings and a couple of restaurants where to eat after a nice swim. 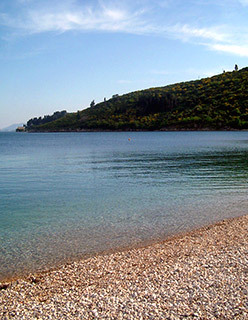 Moreover from this beach you can admire the near wild coasts of Greece and Albany.